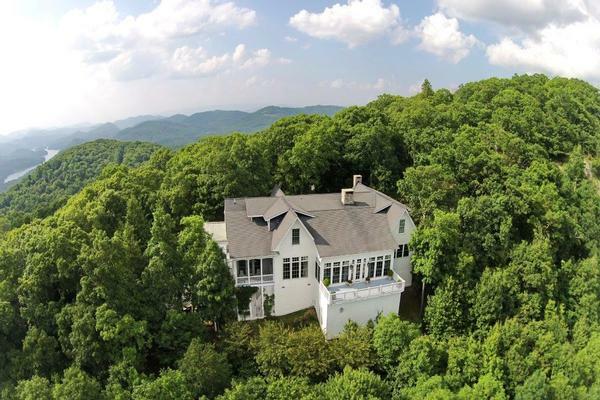 Offered for the first time, this warm and inviting home offers majestic views of Whiteside Mountain from every room. Entertaining family and friends is a joy in the beautiful great room with wet bar, formal dining space, gourmet kitchen with large center island and breakfast bar, and an expansive porch with its own cozy fireplace and hot tub. Beautifully landscaped and on a very quiet street, this lovely property offers privacy and luxury behind the gates of The Chattooga Club, an elegant, immaculately maintained gated community in the very desirable Cashiers. Amenities include Lake Chattooga, stocked yearly with trout, and a picnic area with gorgeous views of Whiteside Mountain. Gather some friends to enjoy the stunning vistas and watch the incredible sunsets. Club membership is by invitation only.